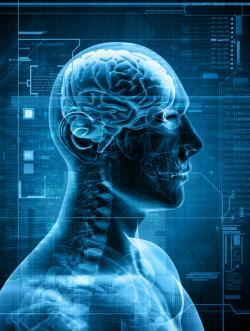 A concussion is a brain injury typically caused by a blow to the head. Sports-related injuries are the most common reason for concussions, although you could develop one as the result of fall, auto accident, or another personal injury. We at Lifetime Health and Wellness, serving Broomfield, Westminster, and the surrounding Colorado area, offer various therapies and chiropractic treatments to help you recover. Fluid surrounds your brain in other to protect it from hitting off the walls of your skull. However, if you sustain trauma to your head that's strong enough to cause your brain to slam against your skull, it could cause a concussion. Sometimes, the force can cause the vertebrae in your upper back and neck to move out of position, also leading to various problems. A concussion may cause only subtle symptoms in some people. Not everyone experiences the symptoms immediately following the injury. In fact, you may not have symptoms for the first few hours or even days. The length you have symptoms for varies as well. For instance, you may only have signs of a concussion for a few days. Sometimes, the symptoms progress over the course of weeks, months, or longer. Our chiropractor serves Broomfield, Westminster, and the surrounding Colorado region, to ensure patients have a safe and effective recovery from a head injury via natural methods. The first part of the treatment consists of the diagnostic process, part of which is comprised of obtaining your medical history and gathering information about your injury and current symptoms. Then, our chiropractor may conduct a brief cognitive evaluation and examine your head for any types of trauma. We may need to conduct imaging at this point. Next, our chiropractor might conduct an adjustment to realign any misalignments in your upper back or neck that are causing your symptoms. Our chiropractic specialist guides you through exercises to optimize your balance. We may recommend you undergo acupuncture to correct any mood or sleep disturbances. Contact Our Lifetime Health & Wellness in Broomfield, CO! If you sustained a head injury or have a concussion, contact a chiropractor in Westminster at Lifetime Health and Wellness, serving Westminster, Bloomfield, and the surrounding area, by calling 303-423-4610.